These are Blanks USA pre-cut and perforated Small Door hangers you can make your ad campaign or any door hanger project easy, effective and efficient. 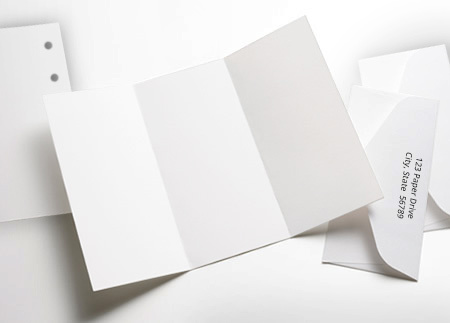 Made on a quality 90 lb Index stock this sheet is perfect for offset printing, copiers, laser and inkjet printing. 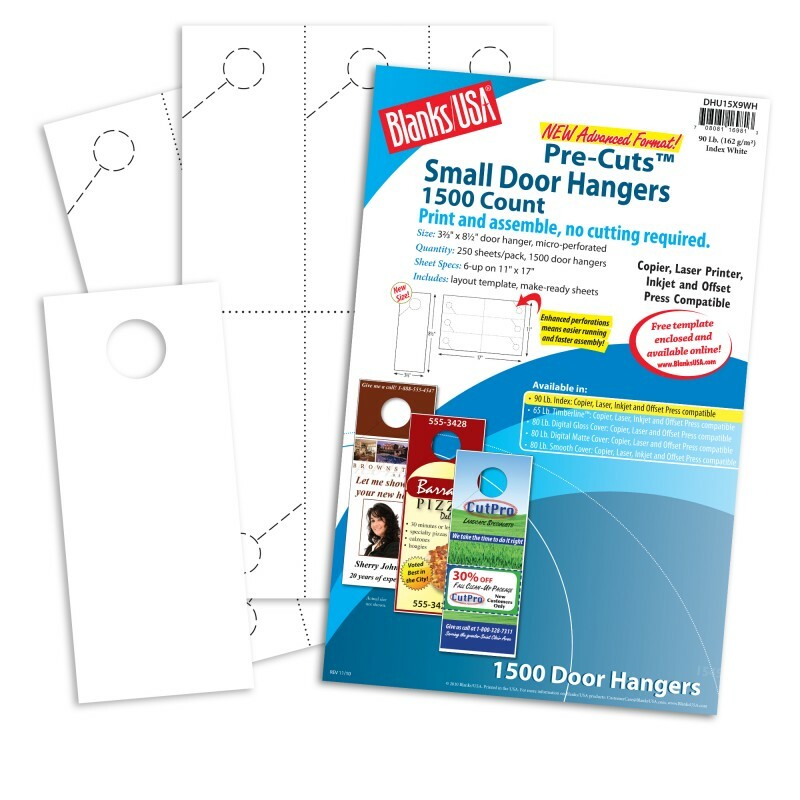 Each finished door hanger is 3 2/3" x 8 1/2" with a 1 1/4" perforated knob hole at the top with a convenient knob hole slit for fast separation and ease of use. Each package has 250 sheets of 11" x 17" with 6 door hangers per sheet for a total of 1500 Door Hangers per package.